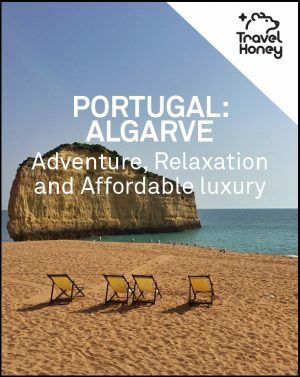 Get started with How It Works or get the lowdown on Portugal in the Country Overview page before choosing a Portugal travel itinerary or guide. Also, make sure you scroll down to find the best Portugal travel itinerary for you, including how many days and what type of year you should visit. If you’re looking for another destination or travel style, just email us support@travelhoney.com. 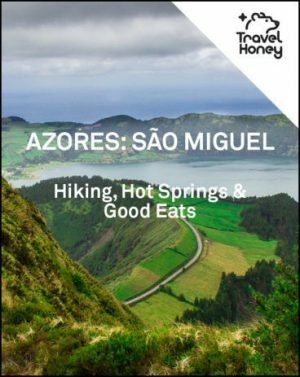 **If you’re heading to Lisbon or the Azores, see just the Travel Honey Lisbon itineraries & guides or the Azores itineraries & guides. How to Choose Your Portugal Travel Itinerary? When choosing a Portugal itinerary, there are a number of things you’ll need to consider. What regions should your Portugal Travel Itinerary include? Here’s a list of Portugal regions, ranked by popularity as a tourist destination. Greater Lisbon – The capital is located on the coast, about a third of the way up from Portugal’s southern border. Porto and Douro Valley – The green and hilly northern part of the country. Many vineyards, forests and farms. Algarve – The sunny, southern coast of Portugal. Madeira – Southern island located off the coast of Morocco with a climate of year round spring. Azores Islands – Group of green islands located far off the coast of Portugal in middle of Atlantic Ocean. Central – Starting just underneath Porto, this area is diverse, less traveled and filled with spa towns, forests and vendors of traditional handicrafts. Alentejo – The southern-central part of the country filled with sleepy villages, cork trees and olive groves. You’ll find fewer tourists. How many days should your Portugal travel itinerary be? Portugal is a small country, about the size of Pennsylvania, so it’s easy to get around. From Lisbon, you can get to Porto in about 3 hours and down to Faro in the Algarve in about 2.5 hours. But you don’t want to spend you’re whole time traveling, so here are suggestions how many days you should allocate for each region in your Portugal travel itinerary. Greater Lisbon – Spend 2 to 5 days. If you spend more than 2 days, consider doing a day trip to Sintra, Cascais and Comporta. You can also spend longer in Portugal and do overnights in each of those towns. Porto and Douro Valley – At a minimum, do a day in Porto and a day in the Douro Valley, but two days in each would be optimal (longer if you just want to chill). Algarve – If you’re a beach bum, you can easily spend a week here, but spend at least 3 days in the Algarve. Madeira – If you want to get out and see the island, spend at least 3 days on Madeira. You could easily spend a week if it’s the summer or if you like to hike. Azores Islands – If you’re spending less than a week and it’s your first visit, stick with Sao Miguel island. Try to go for at least 3 days if possible. Central and Alentejo – These regions have less going on and are less visited, so you can just pass through or spend as many days you like relaxing and meandering. When will you need your Portugal Itinerary? Greater Lisbon – Lisbon is truly great to visit all year round. It’s busiest in the summer but it’s becoming more busy all year round. And because of weekenders from Europe, it’s busier on the weekend. 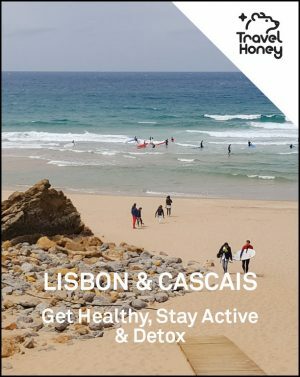 The beach towns of Cascais and Comporta are significantly slower outside the summer. Porto and Douro Valley – Porto and the Douro Valley, like Lisbon, are also good to visit all year round. They’re also busier in the summer and on the weekends. Madeira – Known for its eternal spring, it’s nice all year round but it’s a little too cold for swimming comfortably in the winter months. The busiest months are the summer and holidays. Azores Islands – The Azores are significantly busier in the summer, but the popularity is now extending to late spring and early fall. It’s also busy around the holidays. The weather is the best in the summer, because it’s warm and there’s less rain. But it rarely gets below 60F and you’ll usually see sun every day. Central and Alentejo – These regions are nice to visit all year round and are less touristy, so you don’t have to worry too much about them getting overcrowded. What type of Portugal Travel Itinerary are you interested in? 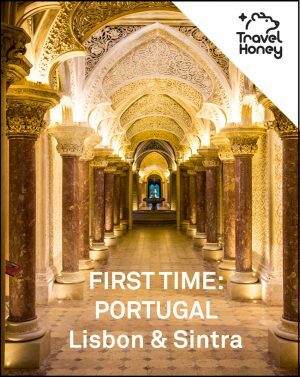 It’s your first time in Portugal? Make sure your Portugal Itinerary starts with a few days in Lisbon. Add on a day trip to see the castles in Sintra or hit up the local beaches by heading to Comporta or Cascais. If you have a few more days, head to Porto for more culture or fly south to Faro to dip your toes in the ocean and relax on miles of beach. Need the beach? Portugal’s best beaches are in the southern Algarve region. Fly into Faro and choose your adventure. If you’re short on time, visit Comporta, about an hour drive south of Lisbon. Do you love the outdoors? 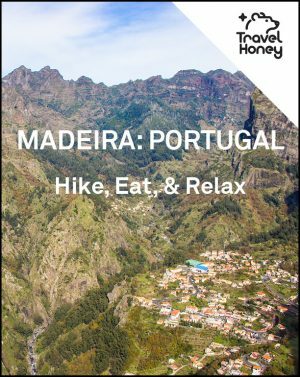 Head to Madeira or the Azores, they both offer loads of spectacular hiking, biking, paragliding and fishing. Are you a wine enthusiast? That’s a no brainer, head to the Douro Valley! Or a foodie? There is delicious food all over Portugal. For the best seafood, head down to the Algarve. For amazing meat and wine, eat around the Douro Valley. If you’re after Michelin stars, then head to Lisbon and Porto. We hope this makes you better prepared to choose the best Portugal travel itinerary!